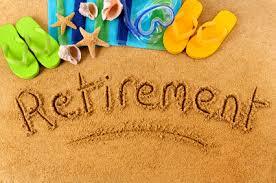 Retirement 101: Who ARE you? What is your immediate response when someone asks, “Tell me about you”? Go ahead. Answer that question. Quick! I’ll wait. I bet the first piece of information you share–and probably the first one you even though of–was your job. You are a teacher, or an attorney, or a DJ, or a retail clerk. But what happens when that magical, golden moment called “retirement” arrives at the end of your driveway….the one you no longer have to leave at the crack of dawn? Even partially, when you have the ability to leave your primary profession and cut back a bit? Maybe work just enough to keep fun money in your pocket for travel, bird watching, or dance lessons? I am about to find out. Join me as I enter this new world, the one where I will find out if I have an identity apart from my work. See you tomorrow! After all, I don’t have anywhere to go.